You can support the Fort McMurray SPCA by becoming a PawsitivePartner and hosting a fundraising event. Whether you are an individual, or part of a larger group such as a community organization, school group, or business, you can help make a Pawsitive difference for the animals. 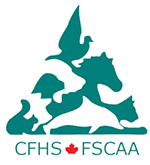 A Third Party Fundraiser is defined as any event which is planned, hosted, and staged by someone other than the FMSPCA. Find more ways than one. Do you require any information or supplies from the FMSPCA? I have read, understood and acknowledged. Please click on the link below for the Third-Party Fundraising Agreement .